According to the latest U.S. Census Bureau report, the national vacancy rate for rental properties in the first quarter of 2013 stood at 8.6%. That means nearly one of every nine units stands empty. For property owners, that translates to a significant cash drain. An all-important job for any owner or property manager is to fill all rental units. To that end, here are some websites in which you should market your units in the event of a vacancy. This high-traffic site is one of the first places people go to for any number of needs including looking for a place to live. The site features location-based search that significantly increases the odds that you will be reaching your target prospective tenants. 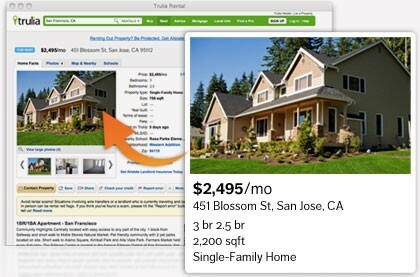 This site offers a search-optimized website for your property listing with a unique URL. Postlets makes it fast and easy to create a professional-looking classified ad, and then to syndicate the listing on Craigslist, Zillow, Local.com, as well as your Facebook page, Twitter feed and LinkedIn account. Just as many people still view print ads when looking for a rental property, many also look to local newspaper websites for the latest listings. A good number of individuals use these sites as their browser’s default “Home Page,” meaning this is the website that automatically appears when they open their browser each time. Don’t forget social media, including Facebook, Twitter, YouTube, Google+ and Pinterest. It’s the new digital word of mouth. You can post your listings directly on the above list of sites. Or, if you are using property management software, you likely have the ability to post your vacancies to hundreds of sites on the Internet including most of those listed above with just a couple of clicks of your mouse. 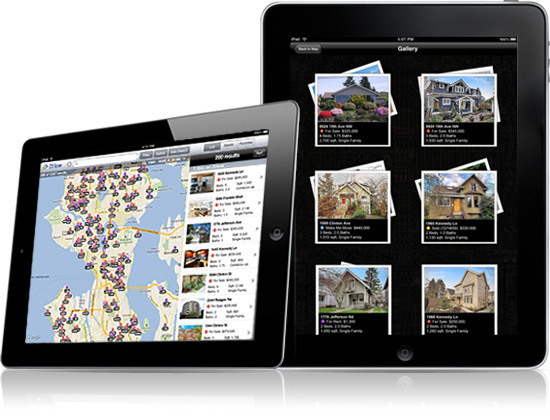 Most programs provide professionally designed listings automatically. Prospective tenants can be directed right to your website if they are interested in one of your units. In addition, for a fee, you can add rental listings to an MLS. There is no agent involved, but you can list here starting at around $100. Renting empty units is a top priority for you, and there are more ways than ever to get the word out to prospective tenants online. 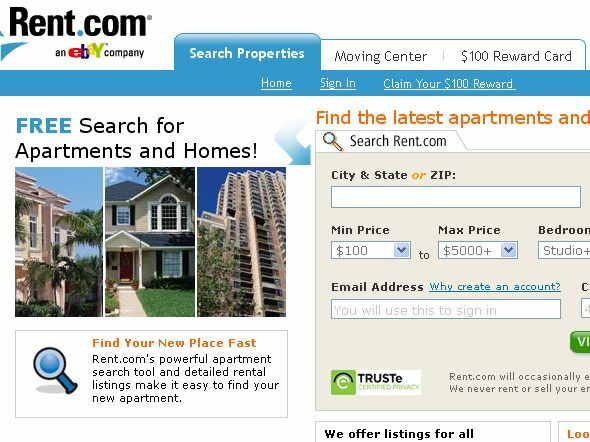 Use as many top rental sites as you can to keep your vacancy rate down. AppFolio, Inc. develops Property Management Software that helps businesses improve their workflow so they save time and make more money. Appfolio submits articles & blogs including topics of Resident Retention, Improved Owner Communication, Time Management, and more. I have a friend who’s nuts about apps. He’s always downloading the latest and greatest. Whenever we meet, he tells me about a new one he’s found. The last time we talked, he said, “So many apps, so little time.” Now that was a comment that stuck. 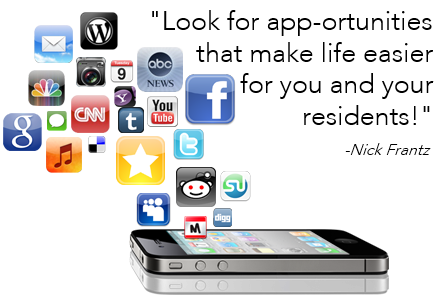 Apps… all these wonderfully creative little tools. Some are useful. Some are just fun. But for me, the best ones are the apps that save us time. There are dozens of apps available to help property managers. But resident-specific apps would be a big help, too. So how do you cut through the clutter to find them? Think “functions” first… then look for the apps. 1. Maintenance Requests. In a 2011 SatisFacts Research survey, residents reported that the quality of maintenance services is the number one factor influencing retention. Number one! You want— you need—to make maintenance requests, scheduling and follow-up easy for you and easy for your residents. Your property management software may offer an app for residents to use to submit maintenance requests. Maintenance issues don’t always wait until you’re in your office. Use your message notification service to confirm appointments and satisfaction. Check for apps that allow you to communicate with residents and staff anytime, from anywhere. And apps that make it easy for message recipients to add appointments to their calendars. 2. Payment Processing. Online payment processing is good for your cash flow. Some property management software offer payment processing apps for residents. Use your message notification service to send automatic reminders that help keep payments coming in on time. 3. Communications. In the same 2011 SatisFacts Research survey, residents ranked the ability to easily communicate with the community staff fourth in nearly 50 items analyzed. A good message notification service helps property managers meet the challenge of timely communications with staff and residents. But managing the daily flow of incoming communications is challenging for recipients, too. Again, look for apps from your message notification service that are created specifically help recipients manage their messages and their calendars. Time is a valuable commodity. With only so much of it in a day, it’s a struggle to keep up—to get everything done. Hassle-free time savers are always welcome. Make life easier for you and your residents with apps that shave minutes off your days and turn multiple steps into just a few taps. 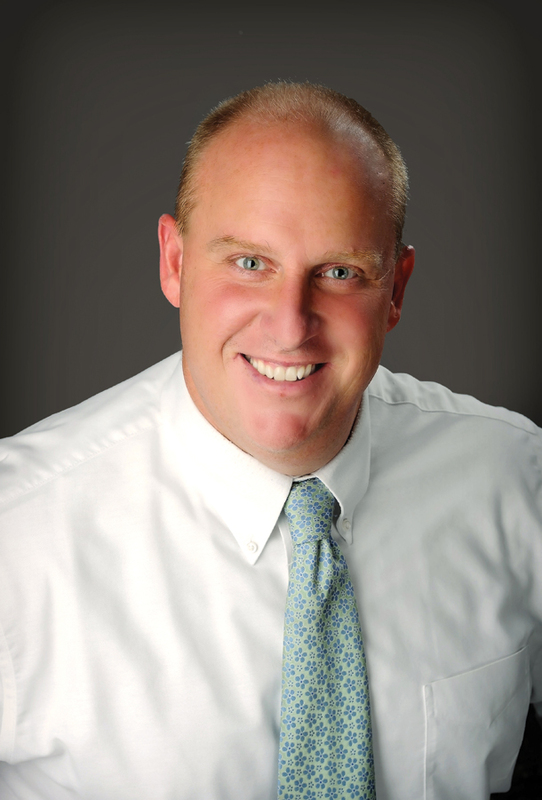 Nick Frantz is the National Sales Manager for Property Management Solutions at One Call Now, where he has worked since March 2011. He specializes in Property Management solutions – commercial and residential – assisting in communications between property managers and staff/residents. Nick holds a Bachelor of Science degree from Miami University. What is the OFAC Terrorism Watch Search and Why is It Important to Real Estate Professionals and Landlords? When choosing screening services have you ever wondered what the OFAC search was, and if it was really necessary to use for your company? Recent events like the tragedy in Boston have placed a lot of emphasis on America’s terrorist watch list, and what it really means. The Office of Foreign Asset Control, or OFAC is part of the U.S. Department of Treasury’s Office of Terrorism and Financial Intelligence. It administers and enforces economic and trade sanctions based on national security goals against targeted foreign countries and regimes, terrorists, parties engaged with weapons of mass destruction, and other threats to the national security, foreign policy or the economy of the United States (US Department of Treasury). So how does this search affect you and your business? In short: the list they administer and enforce tells you who and who you cannot do business with legally. The list they create of the restricted parties is known as the “Specially Designated Nationals List” (SDN), and is available on their website. A recent LinkedIn poll showed that 78% of Real Estate professionals use the OFAC search and believe it to be an important tool, while 5% used it, but didn’t really know what it was, or what they were getting, and 16% did not use it in their tenant or pre-employment screening at all, or knew what it was. While the SDN list is extensive, it is important to note that you always need to perform due diligence with it (just as with any other report you get back with tenant or employment screening), as it can return with similar names to your applicants. If you do suspect a match has been found there are hotlines to call to verify that information, depending on what list you received the information from. Most OFAC searches will return with information regarding the applicant at the top: name, address, filing state, social security number, birth date, birth country, and a best name, followed by the databases searched. It is important that every applicant to any property, be it small, large, class A-C assets, should be screened, and in light of recent events should be searched through the OFAC Terrorist Watch/Patriot Act Database. Not only is it important to screen every tenant or employee applicant, it is also important to know and completely understand what you are receiving in your reports. It is also good practice to perform due-diligence before making any final conclusions. 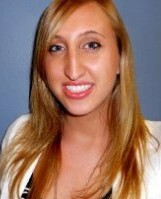 About the Author: Elizabeth Whited is the Operations Coordinator at the Rent Rite Directory. She has written educational articles for multifamily magazines and Real Estate websites to help Property Managers and Owners improve their properties, in an effort to reduce crime in their communities. The Rent Rite Directory educates Property Managers and Owners at Crime Watch Meetings, and Crime Free Association Conferences, and works closely with law enforcement nationwide. For more information, visit www.therrd.com. Spring has sprung… it’s maintenance season! After the winter thaw come the winds, the rain, the leaky pipes and roofs, the cracked paint, the weed surge, the potholes, need I say more? It’s a time when property maintenance becomes a frantic rush to stay ahead of the routine schedule, so you can also tackle the unplanned issues. This is also a time that puts your retention rates at risk. Here’s why: the quality of maintenance services tops residents’ lists of all factors that influence retention (SatisFacts Research 2011 survey). Yes, you’ve got to get the job done, but keeping your residents satisfied with your maintenance efforts doesn’t take perfection. It takes communication and coordination. When it comes to maintenance issues, nobody likes to be surprised! People become dissatisfied when their expectations are not met. Now this is good news for property managers. With timely communications and follow up, you have more control. You set the expectations. Acknowledge requests as soon as you receive them. Let the residents know the next steps: who will perform the service, when it will be scheduled, what will happen. Confirm all appointments with residents. Follow up with residents after every service call. Continue to follow up until the maintenance is complete. Let residents know what will be happening, who will perform the service, when it will take place and if alternative actions are needed (e.g. “…park in the north lot until repaving is finished on Tuesday”). Notify residents when the maintenance is complete. Electronic communications—your website, email, texts and phones—will make this heightened level of communication easier. Check out a message notification service. It can save you and your staff loads of time and be convenient for your residents, too. Let your residents know that you are addressing their maintenance issues and that it’s important that they are satisfied. It will pay off in the high-quality condition of your property… and it will pay off at renewal time, too. As America’s population continues to grow, property developers are having a difficult time finding space to accommodate eager renters. Now, with the emergence of micro-apartments, property developers may have found a solution. Micro-apartments are becoming more and more common in population-dense cities like Chicago, Boston, San Francisco and New York City. Typically located in popular neighborhoods, micro-apartments meet the needs of middle-class, single, young renters who want to be close to urban centers but would not otherwise be able to afford the price tag that comes with these areas of town. Besides meeting the needs of renters, micro-apartments can benefit property owners and developers by increasing the number of rentals in their portfolio and their total revenue. Property owners can achieve this by converting their current apartments into micro-apartments – or developers can consider developing properties to be used for micro-units. Take New York City for example: the increasing popularity of micro-apartments spurred Mayor Bloomberg to change the minimum living space requirement to 250 square feet. 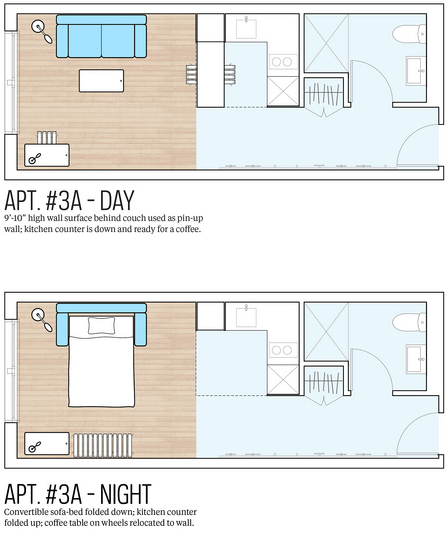 Seeing as the average one-bedroom apartment in New York City is 750 square feet, a property owner could take that one-bedroom apartment and create three individual units. While these micro-apartments will come with a lower monthly rent, property owners will make up for it as they’ll have more units to market. In San Francisco, some micro-apartments are listed for $1,600 a month. This price tag may seem high given the reduced amount of space, but when compared to the average rent in the city – $2,741 a month – micro-apartments are actually quite a deal. By looking at both of these examples, a property owner can end up with three units bringing in a total of $4,800 per month, which is $2,000 more than what one unit could bring in. 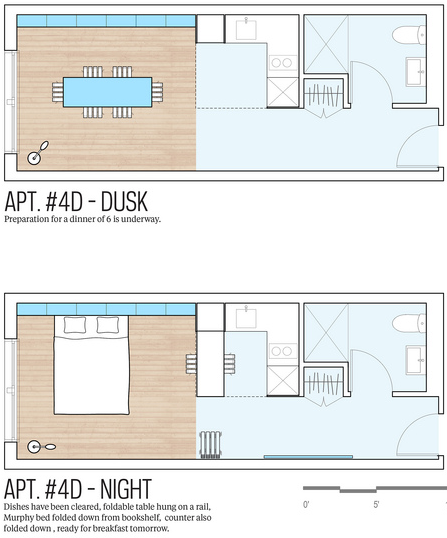 What’s more, micro-apartments don’t necessarily have to be confined to just renovated apartments. In Chicago, property developers are creating micro-apartment communities out of foreclosed flophouses. Some developers are even using micro-apartments as a way to preserve historic buildings. In Providence, Rhode Island, architects took an old mall that was considered one of the most endangered buildings by the Providence Preservation Society and transformed it into a 48-micro-apartment development. Before jumping into a full-blown construction project, there are a few factors property owners need to consider. First off, the cost of converting any kind of building into micro-apartments can add up very quickly. As these units will be very compact, they will need to be designed well to accommodate all the needs of renters without making them feel as if they live in shoebox. And since the units will be under construction, property owners will not be collecting rental income. Additionally, property ownerrs need to be sure they have the ability to take care of all their new micro-apartments. Two or three times as many units means more maintenance needs and more renters who will require more attention and administrative duties. Location can also be a deal breaker. In order to be successful with micro-apartments, it’s vital that prospective building be in a city experiencing mass growth and in a part of town that is highly coveted by single, young people looking to live in the center of the action. With the right location, financial plan and target demographic, micro-apartments can be a great option for property owners looking to expand and improve their portfolios. 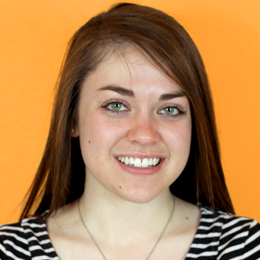 This is a guest submission by Holly Aker, of Austin-based Software Advice. Software Advice provides free reviews, comparisons, and demos of property management software. The company also maintains a blog about current industry news and developments. Legislation to bar millions of Californians from smoking inside their own homes was rejected today by an Assembly committee. Assembly Bill 746 would have made California the first state to venture into personal bedrooms and living rooms with smoking restrictions. It targeted condominiums, duplexes and apartments. Assemblyman Marc Levine, D-San Rafael, proposed the measure to ensure that people who live in structures that share walls, ceilings, floors or ventilation systems with neighboring units are not subject to second-hand smoke. The bill was rejected 5-2 by the Assembly Housing and Community Development Committee today despite several amendments, including one that would have delayed fines from being issued until January 2015. Voting no were Democrats Norma Torres, Toni Atkins and Cheryl R. Brown and RepublicansBeth Gaines and Brian Maienschein, according to Levine’s office, and Democrats Ed Chau andKevin Mullin voted yes. Landlords already have authority to prohibit smoking in their rental units, through a law implemented last year, but Levine’s bill would have imposed a mandatory ban statewide. AB 746 would have permitted outdoor smoking near apartments or condos, but only in a clearly marked area that is at least 20 feet from any housing unit and 100 feet from a playground, school or pool. Critics of AB 746 questioned who would enforce it, how, and what impact the bill would have on habitual smokers or on people with disabilities who could not easily leave their residences to smoke. Do you find yourself spending less and less time at your building? 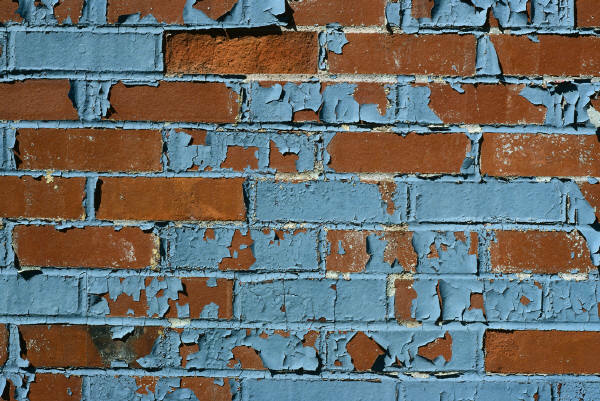 These days, that seems to be the case with many building owners and, too often, routine maintenance issues evolve into costly repairs that could have been avoided. First and foremost, we look for potential hazards. Broken sidewalks, poorly lit stairs, missing handrails – anything that can potentially cause an injury for one of your tenants or a guest. And, of course, we make sure that fire extinguishers are functional and fire escape areas are clear of clutter. It is important to check building exteriors for cracks in the foundation, open crawl spaces and any places in brick work or stucco where water might get into the walls during heavy rain. This includes making sure that caulking around vents and piping is sufficient. We do a similar inspection of the roof, looking for spots were leaks might occur. We also make sure that all of your property’s windows close smoothly and securely and identify any broken panes. Windows that leak or collect condensation on the sills can create major problems down the road. Dryer vents should be inspected to make sure they are clear of lint and debris. Biannual furnace filter inspections at the end of fall and spring will keep your HVAC systems operating at peak performance, while ensuring dangerous conditions are not present. Chimneys are inspected for cracks and proper ventilation. Both gas and electric water heaters pose fire and water hazards. Electrical connections are checked as are gas lines along with water pipe connections and venting. 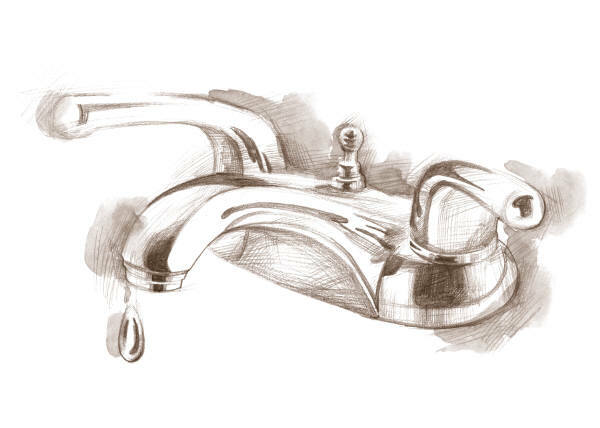 The most costly and damaging of all deferred maintenance is water related. Plumbing throughout the building must be inspected to make sure that seals are secure, faucets are not leaking and pipes are in good condition. Residents should be encouraged to to report leaks and drips. A small leak under a cabinet can create serious damage if left unattended. We also recommend the inspection of fuse boxes and all electrical equipment: Washing machines, garage door openers and other mechanical devices such as garbage disposal units and re-circulation pumps etc. Check for loose wires, water leaks and un-safe conditions. This is just a partial list of routine inspections items. If this all seems like a lot to undertake, Buffalo Maintenance, Inc, can lend a meaningful helping hand by checking up on your property when the time does not permit you to do so. We are pleased to offer expert property evaluations, reporting and maintenance services. Our qualified staff knows what to look for and can make recommendations for the most efficient and cost effective solutions. And right now we are offering building owners & managers free no obligation property evaluations to better acquaint you with our organization. 1. Decide on your light bulbs. In 2014 you will be forced to make a light bulb decision. That’s when the federal government’s ban on incandescent bulbs goes into effect. For standard fixtures, your new choices are CFL (compact fluorescent) bulbs or LED (light-emitting diode) bulbs. Both deliver huge energy savings over their old fashioned predecessor. LEDs are superior in energy usage and quality of light, but are much more expensive to purchase. 2. Expand on recycling opportunities. In most municipalities, recyclable trash is picked up separately from regular trash. Although often voluntary, in some areas it’s mandatory. You may already have separate bins for recyclable trash. Are there enough of them? Are they convenient? I know a managed community whose residents have curb-side pickup, but they take their paper products and aluminum cans to centrally-located bins for pick up. The vendor pays for the recyclable paper and cans and the funds go into the HOA. . It’s a voluntary program and nearly everyone participates. 3. Ask your utility companies to help. Contact all your utility companies and ask for onsite assessments. Some may charge for the service. However fees are usually reasonable and may qualify you for discounts on upgrades or repairs. They also should have energy-saving tips they can pass on to you, or available on their websites. Pull the ones that apply to your property and publish your own tip list. 4. Increase communications, but conserve your paper. It’s time—past time—to make a serious reduction in your paper communications. A message notification service can do the job better and save you loads of time and money, too. Look for one that sends voice and text messages to cell phones and also to email. 5. Foster a green perception. Lots of brands tout green qualities. But the ones that carry strong green reputations do a better job at fostering the perception. Make that work for you. 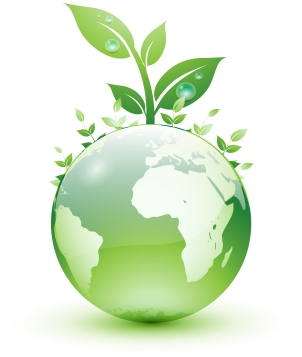 Whenever appropriate, communicate your green efforts. This article is presented in a general nature to address typical landlord tenant legal issues. Specific inquiries regarding a particular situation should be addressed to your attorney. Question: My new tenants just moved in a month and a half ago. The lease requires that the tenant pays for all utilities, and must put the utilities in their own name prior to moving in. Well, I just received the electric bill, and it’s still in my name. I’m thinking about not paying it, just letting it get shut off. Maybe when the lights go out, they’ll take care of it. Can I do that? Answer: No, you can’ t let the utilities be shut off. 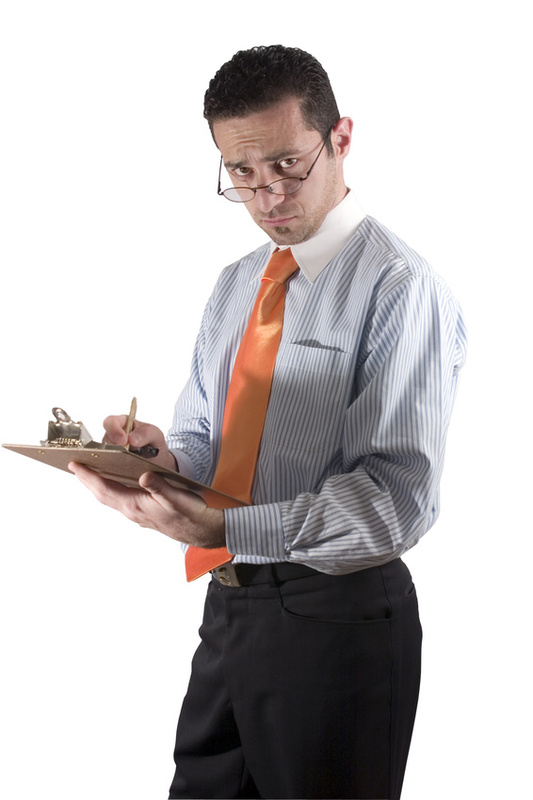 Your tenant’s actions are a breach of the rental agreement, and must be addressed in compliance with California law. You should immediately prepare and serve a Notice to Perform or Quit-Breach of Covenant notice. The notice should identify the specific breaches, the failure to place the electric utility in their own name, and their failure to pay the utility charges incurred since taking possession. The notice should be specific as to how they must cure the breach, namely, they must put the utilities in their name, and reimburse you for the amount of utility changes that have been billed and incurred post tenancy. Note that some jurisdictions may require that you include a statement identifying a witness who observed the breach, as well as the date and time of the breach. In such jurisdiction, you or your manager would suffice as the witness, and the breach would be considered ‘ongoing’ as it continues to occur. In the event of noncompliance, you would be entitled to file an unlawful detain action to recover possession of the premises. Rarely though is that necessary, as the vast majority of residents will immediately comply. Question: I just put my single family house on the rental market, and have agreed to rent it to a nice family of four; mom, dad and two kids, two and five. The parents seem responsible enough and I’m sure they’ll make great tenants, but I am concerned because the house has a pool. Is there anything I can do to protect myself from liability should one of the children fall in and drown? Answer: The short answer is yes. There are several measures you can, and should, take to protect yourself. First and foremost, ensure that the pool and the gate/enclosure conform to all state and local codes and ordinances. The gate should be self-latching, and should be checked to ensure that it closes properly. Review your insurance policy with your broker to ensure that your coverage is adequate; consider a commercial umbrella policy as well. Your broker can counsel you on coverage limits; consider $3,000,000 as a minimum. Finally, you should include as part of your rental documents an addendum to the lease in which the tenant acknowledges the dangers of the pool, agrees to ensure that all gates are kept closed, and agrees to periodically verify that the self-latching gate functions properly. Consider requiring that your tenants procure renters liability insurance as well. These requirements should be a part of your rental policies for a property with a pool, regardless of whether or not your tenants have children. Question: Just opened up the mail, and what do you suppose was in it? A notice from my bank informing me that one of my tenant’s rent check was returned unpaid because he placed a stop payment on it. Imagine that, it’s now mid-month, no warning, no phone call, the deadbeat didn’t even have the courtesy of letting me know he was going to stop payment on his check. It kind of makes sense though, he asked a couple of weeks ago if I’d let him out of his lease early, guess his girlfriend has a nicer place and he wanted to move in with her. I called his phone number, got a recording saying that it had been disconnected. His cell phone works, got his voice mail, and left a message. I’m guessing that when I swing by later today, it’ll be empty. What do I do now? I don’t want to make any mistakes; can I just change the locks if he’s out? Answer: You have a couple of issues that you need to resolve, first the issue of return of possession of the premises, and then, of course, getting you paid. If the tenant appears to have vacated when you visit the unit later today, then you must follow certain procedural rules before you simply change the locks. Ideally, you will be able to contact the tenant on his cell or at work. If you make contact, ask that the tenant confirm that he is out by faxing or emailing you written confirmation. If you are able to confirm that he has moved out, you will not have to follow the abandoned real property notice requirements, and will be able to retake possession immediately. If when you visit the unit, and find that it is vacant, and if the rent is due and unpaid for fourteen days, and the tenant has not voluntarily surrendered possession, then you must serve a written notice of Belief of Abandonment of Real Property. The notice can be posted on the premises and mailed by regular mail to the tenant’s last known address, your property. You must wait eighteen days before you retake possession. If the tenant does not reply, in writing, by informing you of his address for service of an unlawful detainer within eighteen days, then you may retake possession, and change the locks. Once you regain possession, prepare the security deposit disposition form. If he skipped mid lease, he will owe the balance of the term, or until you mitigate your damages by reletting the unit, whichever occurs first. Hang on to the tenant’s check that was returned by the bank. Stop payment orders are only effective for six months, unless renewed by the maker, which rarely happens. That means, in six months and a day, you can redeposit the check, and if there are sufficient funds, the check will clear. Question: I’m looking at a single family residence to purchase. It’s a pocket listing, no signage, not on the MLS. The agent claims it’s a great deal because the seller needs cash quickly, wants a quick escrow, and is willing to let it go for under market. The only catch is, the tenant doesn’t know the house is for sale, and the owner doesn’t want the tenant to know. He says that when I close escrow, I can serve my own notice to have the tenant leave, but he doesn’t want the tenant getting nervous and moving out if the deal doesn’t go through. Seems like a really good deal, I know the house, I’ve peeked in the windows, and it’s in incredibly great shape. What am I missing, what can go wrong? Answer: Lots. You have actual notice of a tenant in possession. That means that you are bound by whatever rental agreement, or contract, exists between the owner and the existing resident. The tenancy agreement may turn out to be a fixed term lease for a long period of time at less than market rent. The resident may have a lease with an option to purchase the house for a fixed sum, possibly less than what you are paying for it. There may be litigation between the parties relating to the premises, possibly mold or some other contamination issue that you may not be aware of. If the deal really is as described, then prepare a purchase agreement providing a due diligence period allowing you a brief time period to check title, condition and other issues. Once escrow is open, and you are satisfied with title, and the condition of the premises, contact the resident, confirm the terms of his tenancy, get a copy of his rental agreement, and prepare an estoppel certificate for the resident to sign affirming the tenancy agreement, amount of deposit, and affirming that he has no equitable or legal interest in the property. 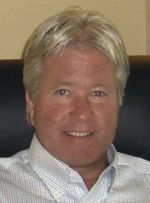 Stephen C. Duringer – The Duringer Law Group, PLC is one of the largest and most experienced landlord tenant law firms, has successfully handled over 200,000 evictions, and has collected over $90,000,000 in unpaid rent since 1988. The firm may be reached at 714.279.1100, toll free at 800.829.6994 or 877.387.4643. Visit www.DuringerLaw.com for more information and the locations of their six offices. This is an exciting, dynamic, ever-shifting time for income property managers and investors. Land values and rents are on a rapid upward climb – finally – but so too are operating and maintenance costs, legislative mandates and potential liabilities. What does this uncertain mix of events mean to the future of the industry? Will the collective assault on Prop. 18 succeed? Will affordable rent become an enforceable mandate? What impact does California’s energy policy have on commercial and investment property now and in the future? The answers to many of these questions won’t be known until they unfold in the months ahead. Clearly, the industry is in flux – poised between unprecedented opportunities, demands and uncertainties – and it will become increasingly important as we all move forward for income property owners and managers to stay informed. How does a busy real estate professional stay current? Through a variety of presentations, workshops and face-to-face meetings, they will address current issues and trends in the industry, from finance and maintenance to energy efficiency, renewable energy and environmental laws. FAIR HOUSING, LITIGATION AND OTHER LEGAL ISSUES: Law firms and legal experts will be on hand to provide the latest information on new statutes, mandates and precedents affecting property managers and income property owners. FINANCE AND TAX STRATEGIES: Today, 1031 exchanges provide more value than ever. Lending rates are at an all-time low. Experts will be on hand to discuss custom-made solutions for those in attendance, including low-rate cash flow loans. MAINTENANCE: Frankie Alvarez, co-author of the “Dear Maintenance Men” column, will provide seven important tips and other details to keeping operations to a minimum. GREEN MANDATES AND INCENTIVES: How do AB32 and other new pieces of legislation impact how you must do business? What kinds of incentives are available to income property owners to save energy or to go solar? Government representatives and service providers will be on hand to explain the many incentives that can help building owners save money on energy costs. This is a great opportunity to catch up on the latest, to touch base with experts with questions specific to your situation, and to network with others in the industry who might be of value later on. When it comes to staying informed and getting the most from the time invested, the Income Management Property Expo is an efficient resource that could bring about significant returns. A second expo is planned for October in San Mateo. Visit www.incomepropertyexpo.com for details. Kaufman, James J. A Professional Corp.